What this means is that most people in this country are or will be living under a court order before they die or their children are grown. Looked at in this stark light, our current approach to divorce is shocking, unworkable and even pathological. Looked at from any distance, we can see that families do not truly survive the adversarial arena, and that traditional court procedures used to reorganize families are toxic. Is there a solution? All across the country and throughout the world, lawyers, therapists and financial planners are, in chorus, saying “Yes!” There is a new paradigm for families in reorganization: Collaborative Law. The name Collaborative Divorce has been trademarked by the inventor of this system, Stu Webb, and one of the leading trainers, Pauline Tesler. All across the United States and around the World, Collaborative Law groups are meeting, creating trust and teamwork, and sharing information and wisdom gained by other groups and between members of the group. Some have been in place for years, some for weeks. Some have had many successful collaborative cases, and in at least one courtroom, the presiding family Law judge Donna Hitchens, has dedicated her courtroom to be the “Collaborative Law Department.” http://www.ggfamilylaw.com/res/articlecontent.asp?ID=7 See note 7. So what is Collaborative Law? And how is it different from mediation, which has gained ground, but never transformed family law? First off, Collaborative Law is a trust based venue for families to resolve divorce issues and maybe someday probate and other sorts of issues where relationships are involved. It is procedurally different from mediation in that all participants commit to the process by signing a contract. This contract is an essential part of the process because it represents a level of commitment that is far higher than for any other process. Thus, the couple tends to stick to the cooperative process. The contract stipulates that if the collaborative process breaks down, ALL the collaborative team members will withdraw, and litigators will be hired before the case can proceed. Another important difference is that participants have access to the legal advice most Family Law participants need– and additionally advice and counsel and even coaching on financial and “human” issues. The team can include therapists and financial planners and child specialists, as decided on a case by case basis by the family themselves. Perhaps most revolutionary, the family unit is treated as the essential client. Second, the entire concept of collaborative law differs from the traditional adversarial approach to family reorganization in two subtle yet powerful ways: there is a shared vision for the outcome held by the practitioners, sometimes for many months before any cases actually come about. This shared vision guides and informs the process, and produces a much deeper and stronger resolution than mediation: a resolution which, hopefully will enable families to continue with their lives in a much healthier fashion than is now the norm; a vision of cooperative coperantting ovetr the lifetime of the family. And finally, the model of collaborative law calls for the team to model the civil and practical behaviors the family will need to produce a sane, healthy and livable outcome. This, most assuredly has not been the case in any previous approach to divorce, and is potentially going to transform the lives of generations of children of divorce. Divorce is not just a technical change of legal status, but rather a way of life, which we in the legal profession too often forget involves not only the initial process –the ‘divorce”– but also the many post judgment modifications that so many thousands of people are living with in today’s society. Truly, a new day is dawning, and the legal profession and the public will be the better for it. For more information on the specifics of collaborative divorce, the following web sites all offer similar visions and descriptions– as all have shared in the vision, creation and implementation of this new paradigm. 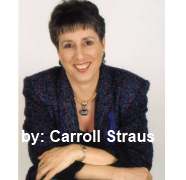 Carroll Straus JD is a former traditional lawyer and litigator who was always too right brained to act or think precisely the way “traditional” lawyers do. She very quickly awoke to the futility of litigation in Family Law and very slowly became dedicated to non-adversarial resolution of marital conflict. She currently accepts only collaborative and amicable divorce cases, and works creatively with clients, sometimes acting as a coach, rather than a mere legal advisor. She has written an e-book that aims to be a remedy for post litigation wounds.